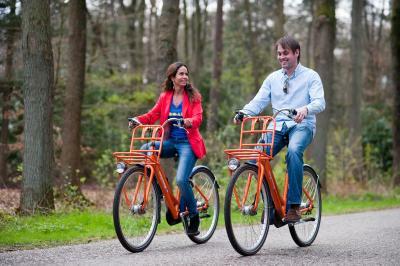 Lock in a great price for Stayokay Apeldoorn – rated 8 by recent guests! Cool location in the woods, but with a neat little 'old-time feel' town right by. 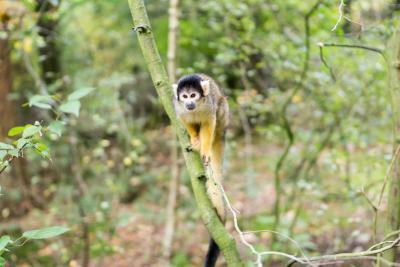 The place is really close to Apenheul, and located in a quiet place surrounded by nature. The breakfast is simple, but is really good. And also it's kids friendly. Extra helpful staff that knows just about everything going on in town. Getting an early morning taxi to the train station was a bit tricky for me, and they put extra effort to get one. Thank you, guys! Very friendly and helpful staff - we arrived late, after the deadline for serving the evening meal. No problem, the man on duty cheerfully found something and served us a hearty meal. This is a quiet location, easily accessible by public transport. 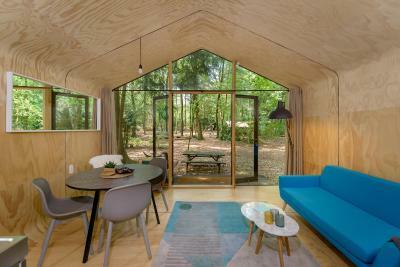 Comfortable, clean, budget option for a stopover. Very friendly staff, excellent bar with local beer, beautiful lush green location within the city. The staff was really friendly and helpful! 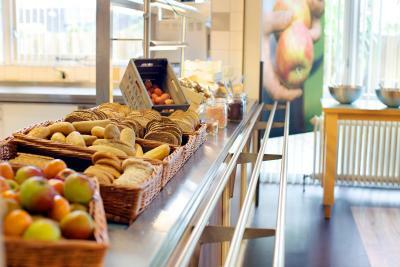 The Breakfast was a very pleasant surprise: containing bread, meat, cheese, eggs, joghurt, mysli, vegetables and fruits. Thumbs up! 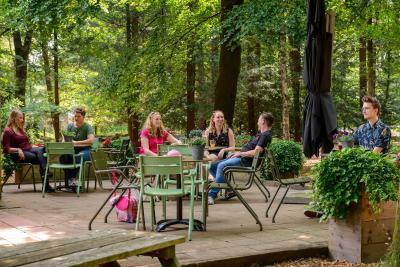 Primly located in the woods, bordering both a nature park and the city of Apeldoorn, this Stayokay hostel is an ideal base for any occasion. Free Wi-Fi is available. The rooms, all boasting private sanitary facilities, are housed in five wings. The heart of the building features the bar, lounge, reading table and billiards - a great place for everyone. 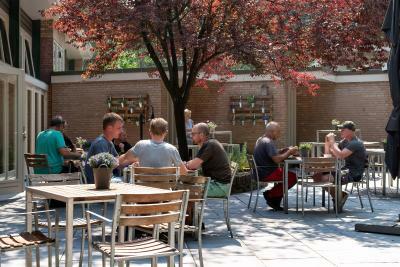 In summertime you can relax outside on the terrace and the restaurant serves tasty daily dinners year round. Packed lunch service is also available at the property for a surcharge. 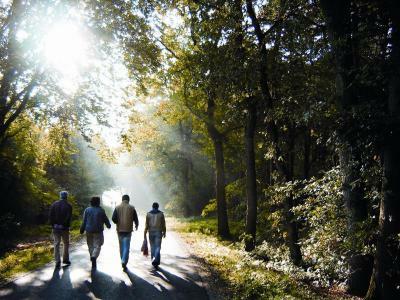 With the nature park Hoge Veluwe on your doorstep, an array of activities, walking and biking are easily organized. This is an especially popular location for family getaways and group events. 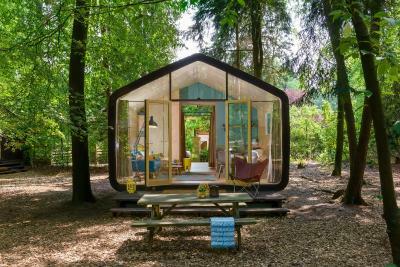 When would you like to stay at Stayokay Apeldoorn? A bunk bed in a shared dormitory. 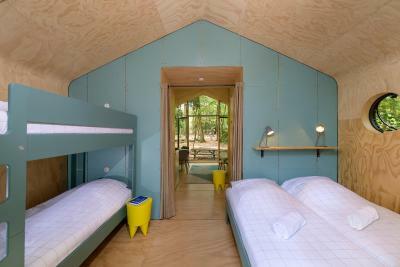 Basic rooms with bunk beds. 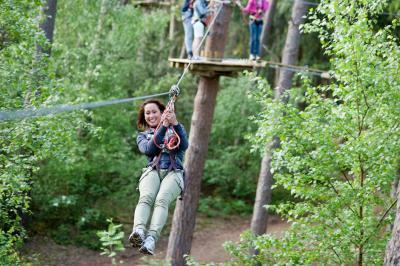 At Stayokay Apeldoorn, you can take a walk or bicycle ride, or do an All-Terrain Bike course. 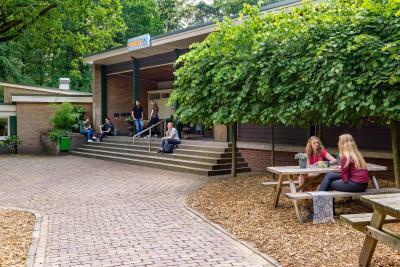 There are several bicycle and walking routes that pass the hostel and that will bring you to the most beautiful spots in the Hoge Veluwe. 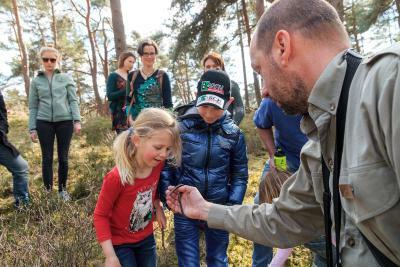 Make sure to also visit Radio Kootwijk with its magnificent heaths, the largest drifting sands in Western Europe and the monumental building of the former broadcasting station. In the evening, the hostel is great for all ages: from craftwork activities and roasting marshmallows over the fire basket to simply relaxing in the lounge or at the bar. 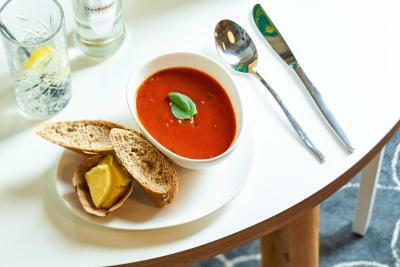 Furthermore, sustainable food is served in the hostel. 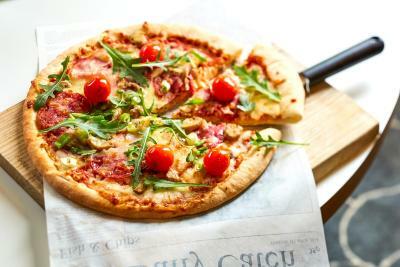 It is also possible to order a delicious festive buffet or barbecue with your family or group. 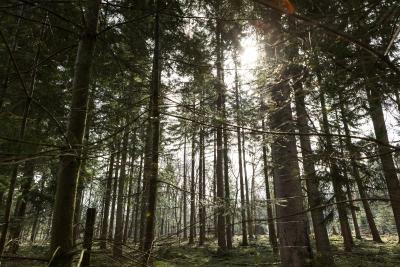 In short, real nature lovers, sportsmen and families will have a wonderful stay at Stayokay Apeldoorn. 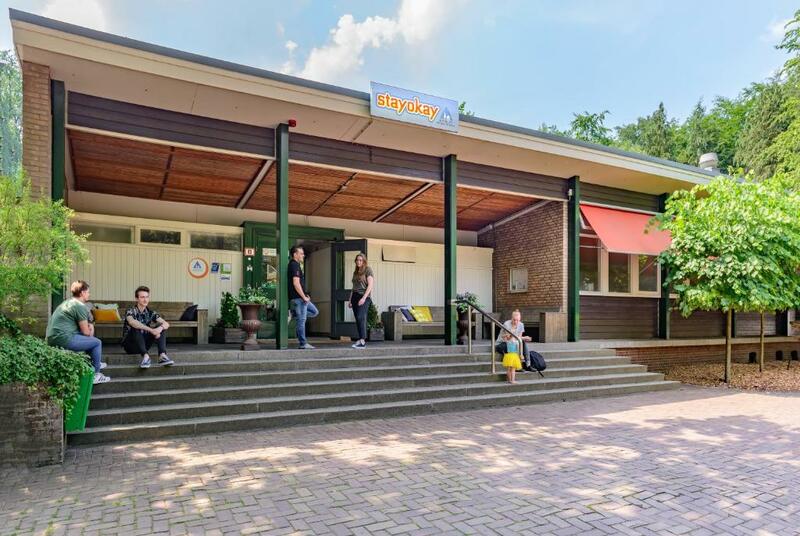 House Rules Stayokay Apeldoorn takes special requests – add in the next step! ATM card Stayokay Apeldoorn accepts these cards and reserves the right to temporarily hold an amount prior to arrival. Stayokay Apeldoorn accepts these cards and reserves the right to temporarily hold an amount prior to arrival. Please note that all guests must have a valid passport. Please inform the property in case children are coming along by using the special request box. The room space is very reduced, but expected for a hostel. Over 100 euro to sleep in a closet. Did not sleep the whole night due to drunk people in the hallway banging on all the doors troughout the whole night and trying to break in our room. Worst night of my life, whole family did not sleep at all. Breakfast room table setting way too close to each other. The web data for this hostel gave us the impression that it was similar to other hostels, for instance, Danhostels in Denmark. So we arrived prepared to cook our own evening meal, only to find that there were no facilities for this. So nothing wrong with the hostel itself, just that the web data perhaps needs to somehow make this point clear. Room Pluto 5 had a foul smell around the bathroom area. The room window wouldn't open and so was quite stuffy when I got there. Had to use a sticky tape to keep the window open or else 3 people in that room would have be suffocating. In the dormitory room (for 6) there was only one socket in the whole room to charge the phone etc. No closets with locks in the rooms to put your backpack in.